With all the connected devices out there, it has become pretty much a norm that you use video calling in your day to day life. Whether it is in 3G or via a third party solution, you have been using this service to contact with your friends, families and to do business. While most of the people around the world use the latter one, it all started in one place you can say and that was about 10 years ago. Yes! I am talking about Skype which is celebrating its 10-year anniversary. While there are tons of apps out there now with the support of video calling, you have to admit when it comes to it the first word which comes to your mind is ‘Skype’. Why wouldn’t it be? With their 750 million users and 2 trillion minutes of video calls being made with it, Skype is surely the biggest video calling service you can imagine. And features like real-time translator in major languages will keep it top favorite anytime. They even launched a video to celebrate the anniversary. 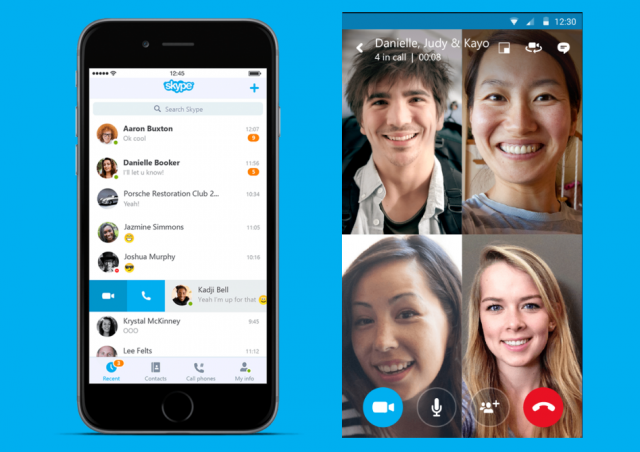 Skype has mentioned that the feature will be available in the coming weeks. So if you still haven’t seen it coming you will soon hopefully. Although we are not sure how the feature will be distributed as in will it is an update of the app or some changes from Skype end to provide the service. Also, if you think you can’t wait to use the service, Skype has offered a pre-register option to provide you the feature at its earliest. You can register from here.